The world’s best-looking Android Wear line-up is about to get classier. On Monday LG announced the Watch Urbane, an all-metal follow-up to the G Watch R, which I deemed the best Android Wear watch around—if only on aesthetics alone. LG isn’t talking pricing until Mobile World Congress (the first week of March), but we can assume the Urbane will command a premium that matches its formal-fancy vibe. Where the G Watch R looks like a sporty chronograph, the Watch Urbane looks like something you’d slip on to impress a date at the Bellagio. 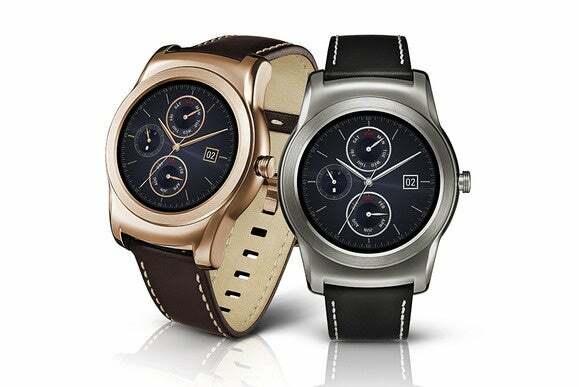 The G Watch Urbane is available in polished gold and silver finishes. OK, it’s certainly not a Rolex or a Patek Philippe. But the Watch Urbane does look swanky relative to so many earlier Android Wear watches. The Urbane has a thinner package than the G Watch R, and uses that essential circular display, whereas the Asus ZenWatch, while sophisticated-looking, looks more gadgety with its rectangular design. Why this matters: Don’t be fooled into thinking the G Watch Urbane is a direct response to the upmarket challenge of the imminent Apple Watch. Android Wear watches are not direct competitors to the Apple Watch, because neither Android nor iOS users give a damn about what’s for sale in the opposing camp. No, the Watch Urbane matters because Android Wear manufacturers are still trying to unlock the code of user satisfaction. Android Wear watches haven’t sold very well, so now the pressure is on to deliver designs with more consumer appeal. The Moto 360 has sold better than any other Android Wear watch, and now it looks like LG is trying to offer an even more upscale circular design that will appeal to men and women, both. Sure, the G Watch R looks great, but it’s a bit too butch in a watch market that needs pan-gender appeal. That 22mm stitched-leather strap is replaceable, naturally. 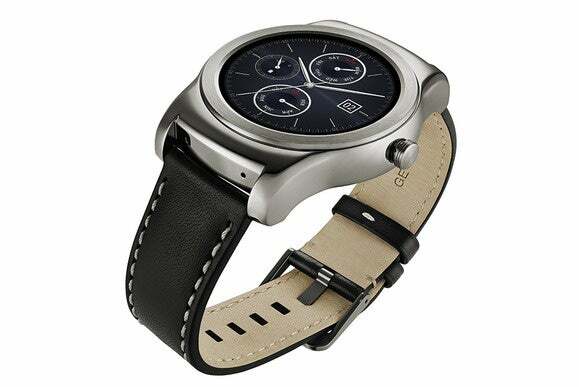 LG is making a point to say the Urbane “follows closely in the footsteps” of the G Watch R, but isn’t an upgrade, per se. Judging by specs alone, it’s a fair mincing of words. Key internals borrow everything from the G Watch R. There’s the same 1.3-inch, 320x320 P-OLED display, the same 1.2GHz Snapdragon 400 processor, and the same 410 mAh battery. In the G Watch R, these components work in concert to deliver a legible color watchface in sunlight; a bright black-and-white watchface in dim/ambient mode; and the best battery life of any Android Wear watch we’ve tested. Styling-wise, the Watch Urbane will come in gold and silver “finishes” (it’s unclear if LG is talking real precious metals), and a replaceable, 22mm stitched-leather strap. 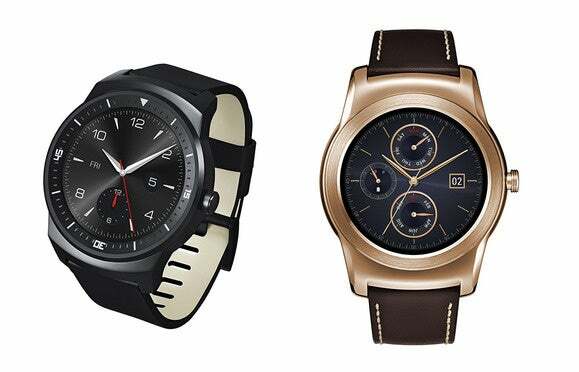 Looking at the G Watch R and Urbane side-by-side, you can see just how dramatically LG has evolved its design.